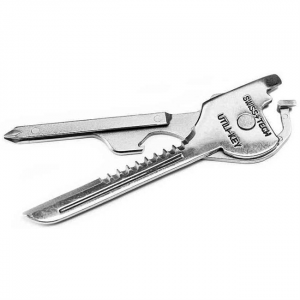 The Swiss Tech Utili-Key 6-in-1 is a handy tool to have on your key chain. With six useful functions and extreme portability, you'll never be caught without the right tool for the job. Makes a wonderful gift for dads, handymen, and engineers.